PF Olsen staff attended the Mystery Creek Fieldays in June at the Manuka Farming New Zealand (MFNZ) site. There was significant interest in planting Manuka, especially on marginal farmland with a view to increasing returns from such areas by producing high UMF Manuka honey. It was great to meet so many people interested in the opportunities that improved Manuka presents and discuss their planting options with them. We have been working closely with MFNZ and our time at Fieldays allowed us to learn a lot more from each other about our respective areas of expertise. Pollen sources – bees require both pollen and nectar to remain healthy. 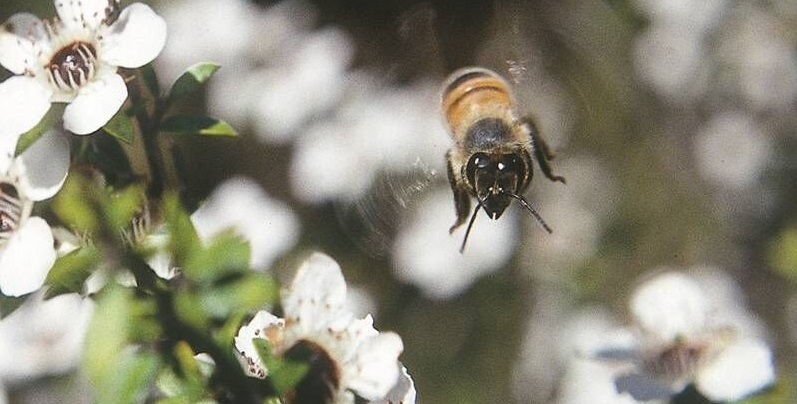 Manuka pollen is rarely collected by honey bees, they mainly collect the nectar. This means you need to consider pollen sources for the bees, particularly if you are wanting to keep hives on site year-round as Manuka only flowers for a short period. Manuka is also a fantastic option for many other alternative purposes such as soil stabilisation, reversion to native bush, riparian enhancement, or small plantings for hobbyist beekeepers. For these uses, there is no minimum area required and manuka can be planted with a variety of other species to suit your needs. For assistance with species and planting options for any purpose, email Kimberly Evison at PF Olsen, or phone 07 921 1010.